There’s been a lot written about how to move from one world to another, about portals and gates and doors in hedges. In shamanism, one of the doors to the lower world is often found in the roots of a tree. Most of us danced in fairy rings that we saw in yards as children, wondering if fairies would be invited by the sounds of our laughter or the ultra-tantalizing lawn sprinklers we played in. I’ve had a few fairy circles around. One showed up in the backyard and stayed for a couple years, then vanished. One was made entirely of mushrooms when a neighbor cut down a tree…I always thought of that as the tree’s spirit still reaching out. And now that I’ve got a pretty lush garden going, other little portals and doors are in the making. This is one of them. Three or four years ago, I bought a fairy rose in a plastic bag at the local discount store. I am notoriously bad with roses, I should confess. I’ve tried various kinds, but the only ones I’ve had success with are dog roses, prairie roses, and Don Juan climbers. One year, I picked up five or six beautiful white JFK roses, but they didn’t make it over the winter. So…I had some hopes for the fairy rose. I have never pruned the fairy rose. Now, it’s taller than my head, and its canes brush the ground like a weeping willow. The flowers are flat and tiny and white…just gorgeous. This rose has surpassed all my expectations. It’s hard to see what’s under there; I imagine that this is probably where the backyard rabbits are raising their little ones. It’s hard to see what’s under there…maybe a door to faerie? 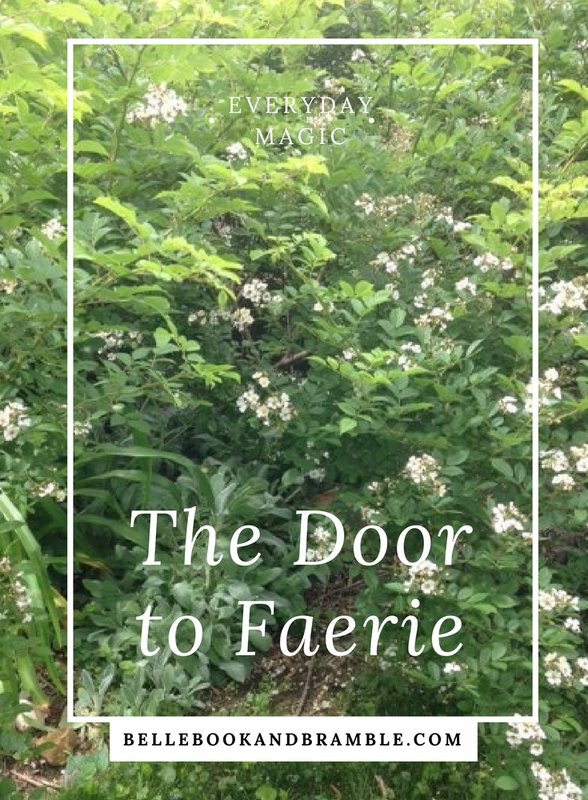 Do you have any mysterious gates and doors on your property where fairies might lurk? 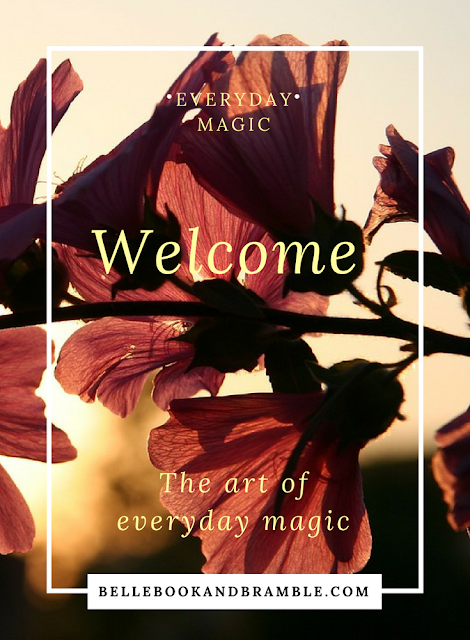 Have you ever made a fairy garden? I’m curious…perhaps if I build it, they will come! Have never made a faerie garden, but there is an old house foundation across the road from me (I live fairly rural, lots of foundations made from field stone) and I was *convinced* it was a magical place as a child (I still am). I called it Lilac Lane. The trees had grown around the ruins of the foundation, but the "driveway" next to it is lined with huge old lilacs. At that place between day and night, I would wander over and explore. It felt like a magical kingdom that I was just in the other side of. OMG...that sounds amazing! You should write a story about it. It sounds absolutely gorgeous!